CDs were supposed to be the indestructible answer to the problem of fragile media. They were easier to store than vinyl and weren’t nearly as easy to scratch or damage. They sounded better than tapes and didn’t suffer from the same level of degradation over time. Or, at least, that’s what people were meant to believe. 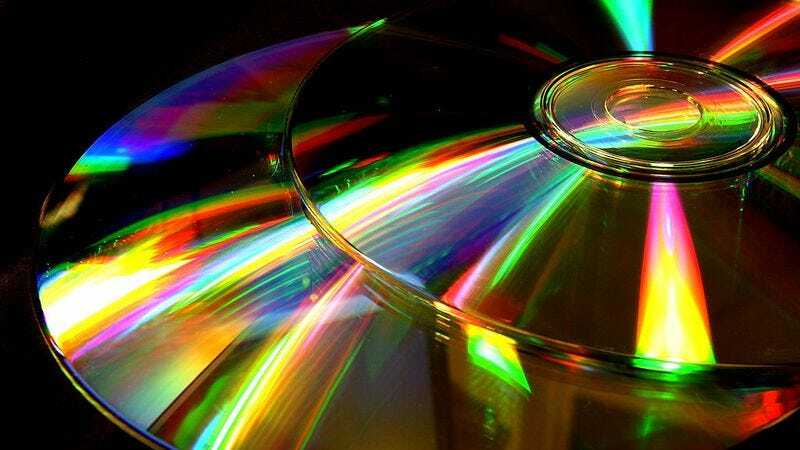 In a new piece on Tedium, Ernie Smith explores the phenomenon of “disc rot,” which poses a threat to avid collectors of CDs, DVDs, and video games. The damage can appear in various forms—a slight discoloration, small but visible pin pricks, or “edge rot”—but the results are always the same: Your music, movie, or game is now partially or completely unreadable. In the era of cloud-based storage, the problem of disc rot may seem like a thing of the past. But considering the use of discs by many professional archivists and the commercially encouraged trend of converting your home videos to DVD, there are plenty of people out there who risk losing a lot to this silent killer. Before you run off to frantically inspect all your mint-condition Mudhoney albums, it should be noted that not all discs are affected in the same way. According to Michele Youket of the Library Of Congress, “Many of the causes of early failures of these discs would disappear as the technology matured,” meaning newer purchases may be less likely to break down. But recordable discs (such as CD-Rs and DVD-Rs) are particularly susceptible to damage because of the type of organic dye they use. So, unfortunately, your handcrafted masterpiece Roadtrip Mix may be the first thing in your collection to go.